You won’t look back once you’ve learnt how to successfully fish with zig rigs! Granted, they can be a little frustrating at times, especially when figuring out what depth the carp are cruising at. But, once you’ve discovered how zig rigs work – and you’re efficient at making them, you’re guaranteed hours of endless fun! Apart from using a float, or a carp controller, there is no other rig more capable of fishing the whole water column quite like a zig! 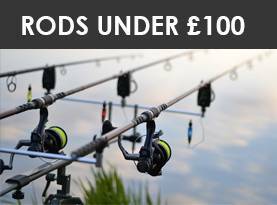 They’re more frequently used in the summer months when carp are likely to be cruising around the upper layers. 1 What is a Zig Rig? 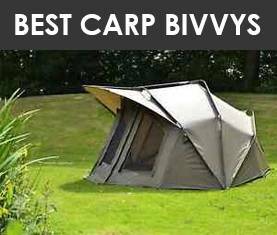 7 Want to Check Out our Carp Rod Reviews? 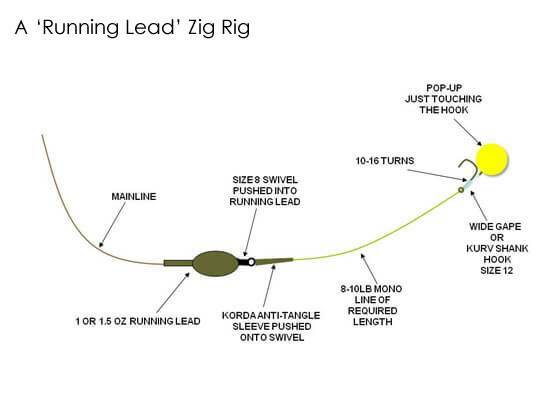 What is a Zig Rig? 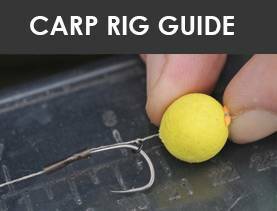 You may know that most carp rigs are fished either on the bottom, or an inch or two off it whereas zig rigs can be used throughout the entire water column. 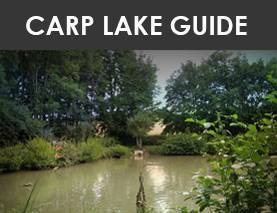 You can master where the carp are by constantly adjusting the ‘zig rig length’ until there is an indication of any activity, or you can cast close (but not at) showing fish that maybe near or on the surface. This means that your hooklength (which should be as thin as possible by the way) can often be very long, maybe even 6 to 8ft at times, depending on the lake depth. 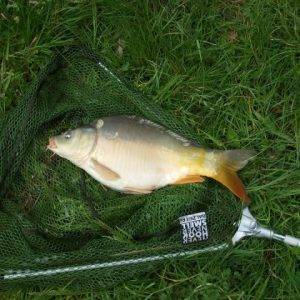 Did we mention that you need to use a small hook (size 10 or 12), together with a bouyant hookbait? This is so everything will be disguised (the small hook), and of course float! 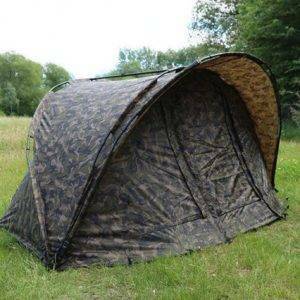 This might be a lot to get your head around, but get all this SPOT ON – and you could have yourself a carp frenzy! 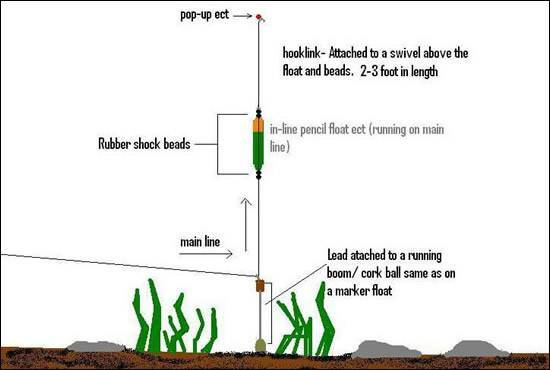 There are two types of setup – an adjustable zig rig (using a carp controller or inline pencil float ) or a lead arrangement. A controller float allows you to make subtle adjustments by releasing (raises) or retrieving (lowers) your line once you’ve cast out to your spot. This either lowers or raises where your hook bait is sitting in the water column. 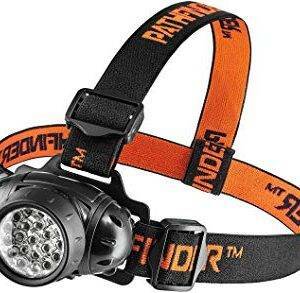 Or, you could use a running lead system like the example below. 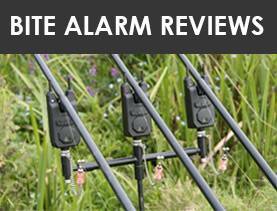 As far as hooklink material goes– around 6 to 10lb is light enough. Again, in a lead setup system, you’ll need to adjust the hooklink length. For both setups, we’ve compiled a list of suggested materials to help you. 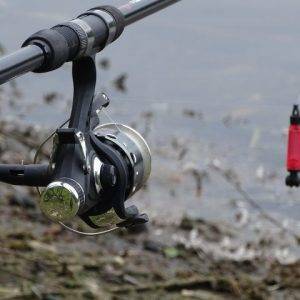 Mainline – Daiwa Hypersensor is available in 6lb, or 10lb for weedier lakes. 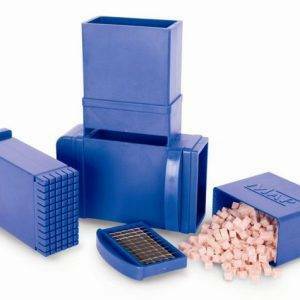 Anti-tangle sleeves – ensuring minimal tangles, especially if you’ve mega long hook lengths! Pop-ups – there are hundreds of shapes, sizes and colours. Mix it up a little! If you’re not too clever with knots, this great video offers plenty of tips on how to tie zig rigs, which sometimes prove quite fiddly! Because there are so many bait choices, you may think choosing a hook bait could be difficult. With zig fishing – it really isn’t. As long as it’s buoyant you’re good to go. 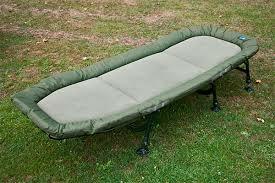 Plenty of anglers like using colourful foam or pop-ups when zig fishing, and these are all great choices. Another piece of kit designed solely for zig rigs is a zig aligna kit which keeps your bait nice and straight along the hook. 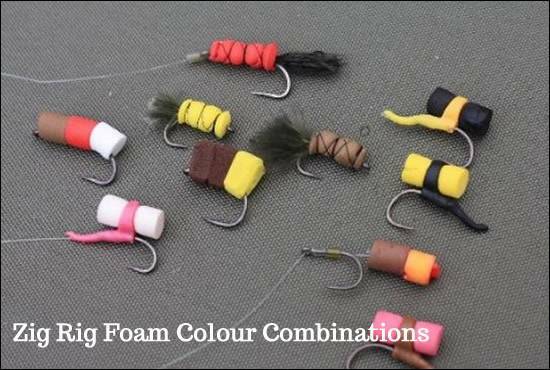 Or you could try colourful bait combinations of foam and pop-ups, with black, white, yellow and red favourable picks. To begin with, we suggest using a marker float to determine depths around your swim – and keep an eye out for any showing fish! 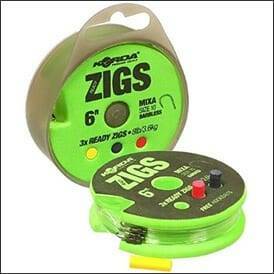 Once you’ve settled on an area and made a note of the depth, it’s time to set up your zig rig. As previously mentioned, there are two ways to do this. 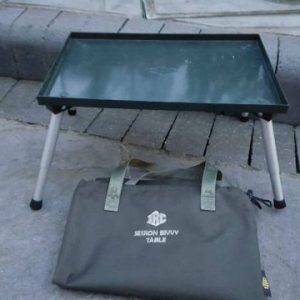 You could fish using a carp controller or a lead clip arrangement. 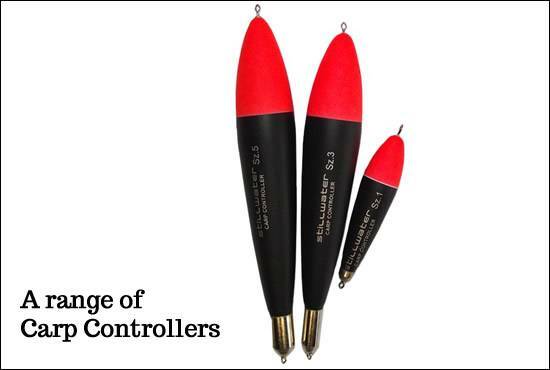 A controller (or inline pencil type float) allows you to easily adjust the hooklink length as required. This setup is known as an adjustable zig rig. By releasing or retrieving line – it allows you to move the float up and down as necessary – instantly placing your hook bait where you need to. 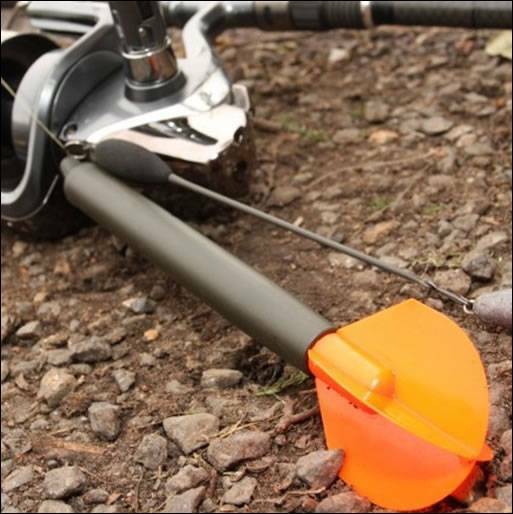 The float can also serve as a marker to learn what depths you’re fishing. To begin, try setting the bait so it sits in the middle depths. If there is no action, you can slowly raise your bait until a bite occurs! Keep searching the water column, and try different areas of the lake if necessary. If you fancy trying the lead clip arrangement zig method, the same principle applies, but you need to be comfortable that the hook link is set to a length where you know the fish are! Otherwise – you will be reeling in, resetting the length, and recasting many times over! If you add an adjustable back bead to your setup, this may be an easier method for you to try. Ok, once you made the decision regarding the setup – we’ve a few helpful ideas to get you going. When using zig rigs, we prefer to fish with a tight clutch because if the carp gets a full head of steam – the chances of losing the fish increase if the clutch is loose. 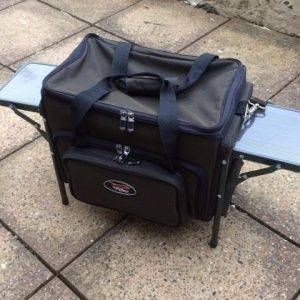 This makes perfect sense, because a tight line means the fish is likely to be high up in the water much quicker making it easier to bring in as well as the lead dropping off quickly and safely too. You should play the fish with the rod low down, only lifting it if weeded up or when ready for landing. 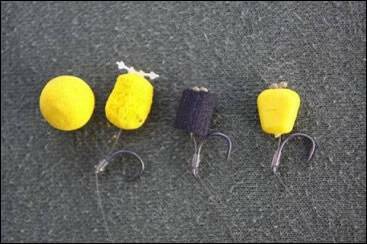 Whether you’re a zig rig fanatic, or just getting started, we’ve some great tips and tricks to boost your confidence in using zig rigs. Try to select the thinnest line (not mainline) you can. Disguise is everything folks! Have you tried re-shaping foam? How about combining two different coloured hook baits? If there is no activity – move on! Rig Safety! Rig Safety! Rig Safety! 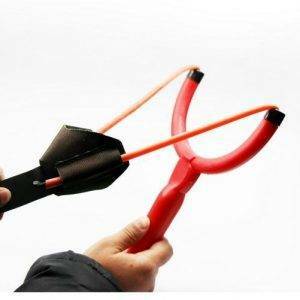 – Please use a drop off lead if fishing a hook length of over 6ft! 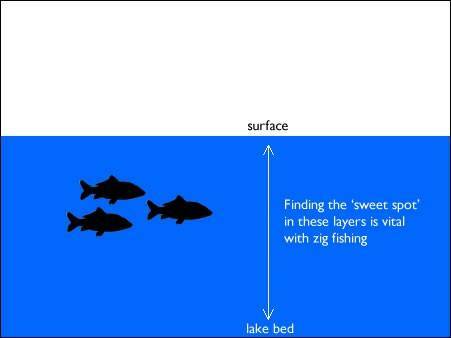 Well, we hope you’ve enjoyed our article on how zig rigs can increase your carp fishing methods! 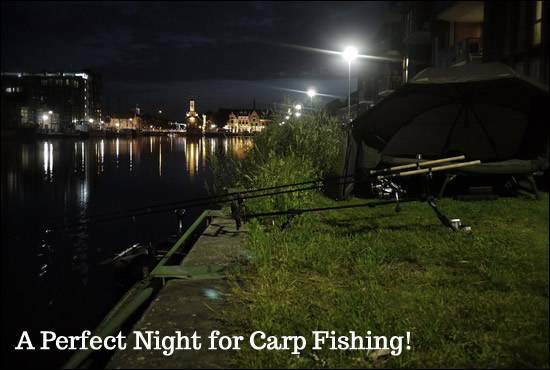 Want to Check Out our Carp Rod Reviews? Carpnbait.co.uk is a participant in the Amazon Services LLC Associates Program, an affiliate advertising program designed to provide a means for website owners to earn advertising fees by advertising and linking to amazon(.com, .co.uk, .ca etc) and any other website that may be affiliated with Amazon Service LLC Associates Program.